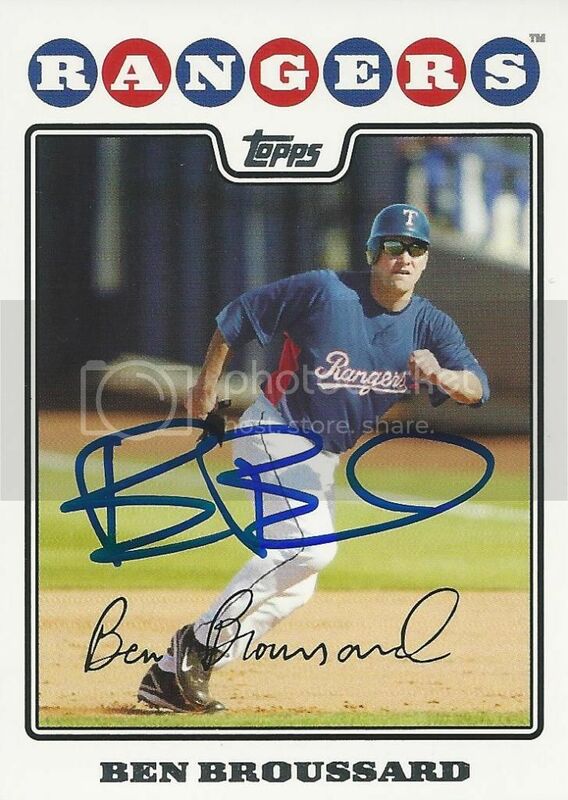 I remember hearing an interview with Ben Broussard on MLB Network Radio last Spring. He had just finished playing winter ball in Mexico and was trying to make a comeback. It took a while but he reemerged in the Atlantic League later that summer. A friend on SCN helped us out by getting this 2008 Topps card signed for us. I've been a fan of Ben's since he played in the Arizona Fall League back when he was the Reds top prospect. I wish him the best in his comeback and musical career. I think Bob Brenly goes by BB. Judging by his signature so might Ben.